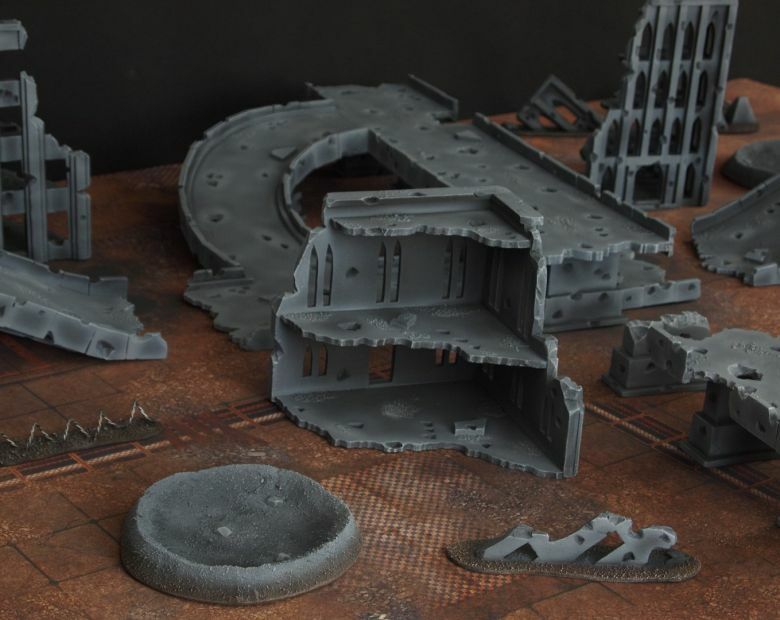 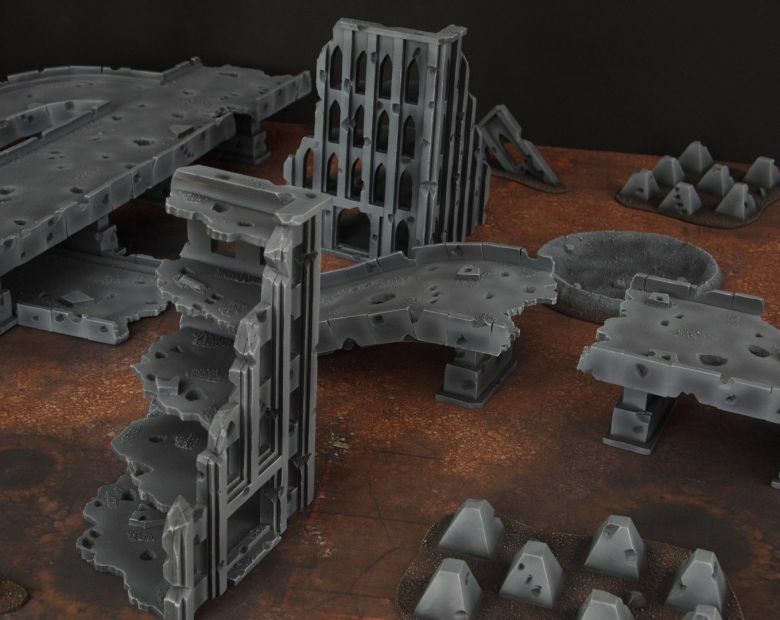 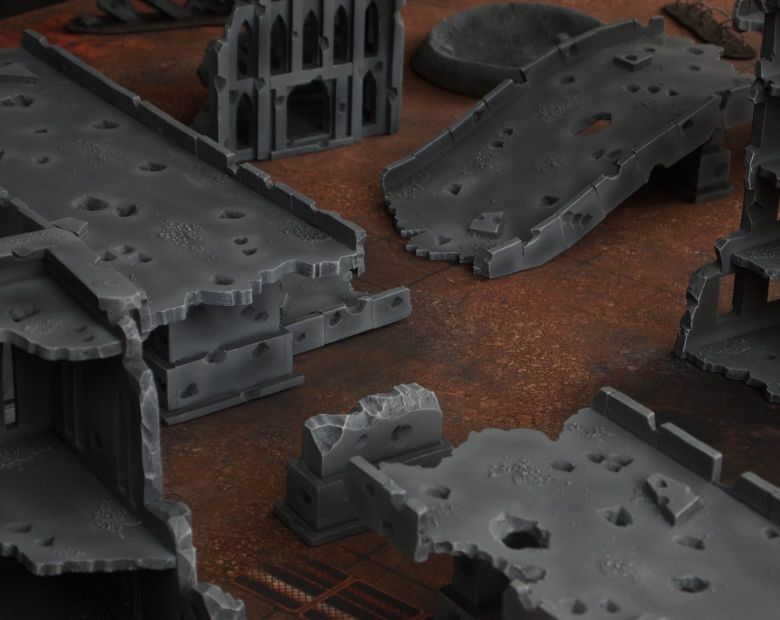 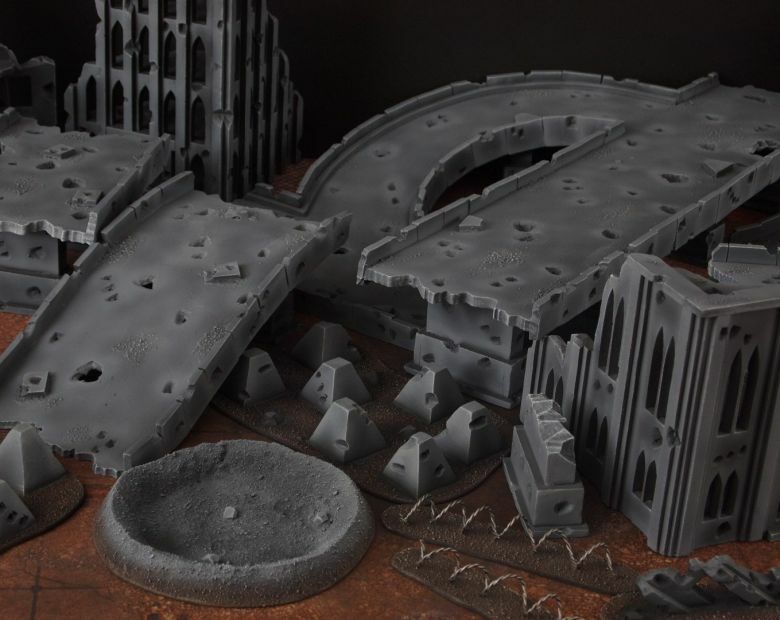 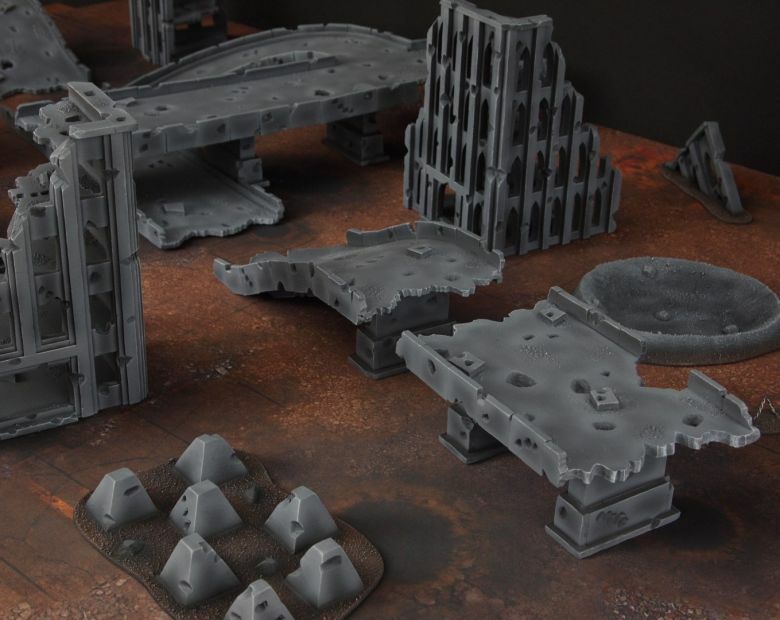 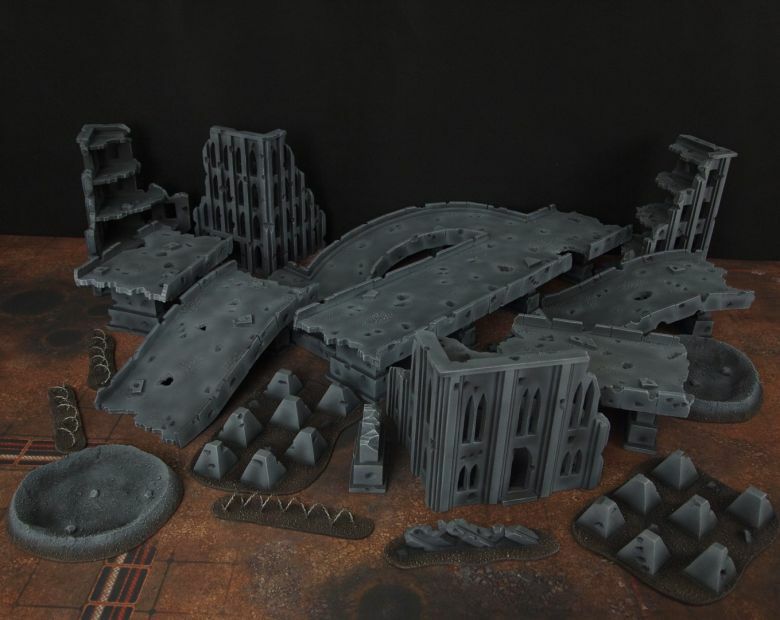 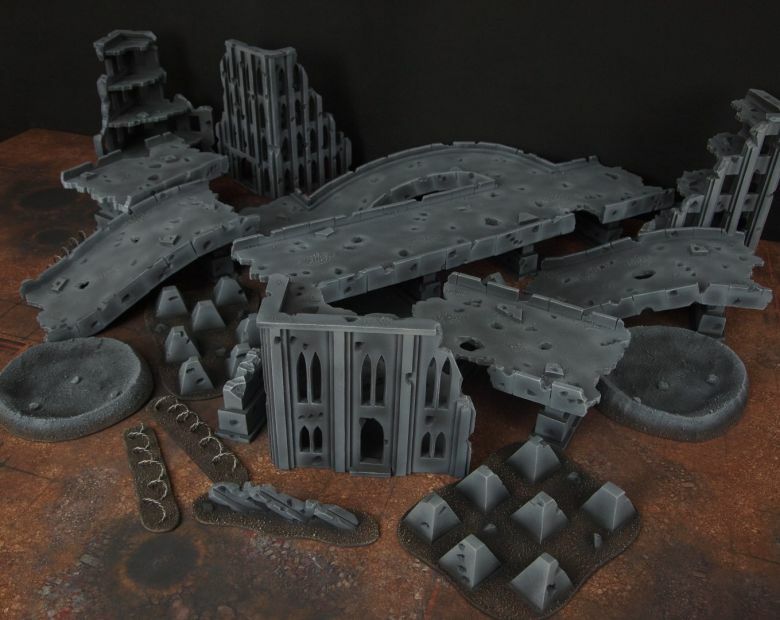 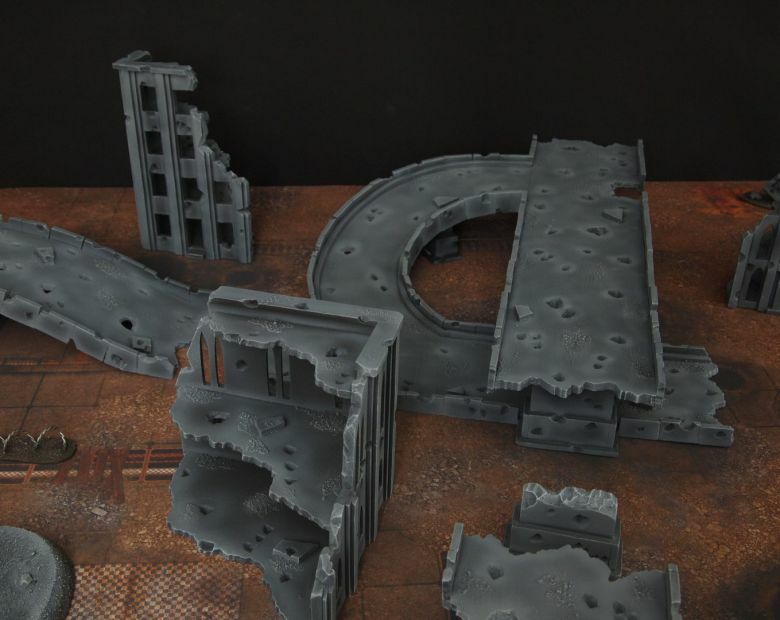 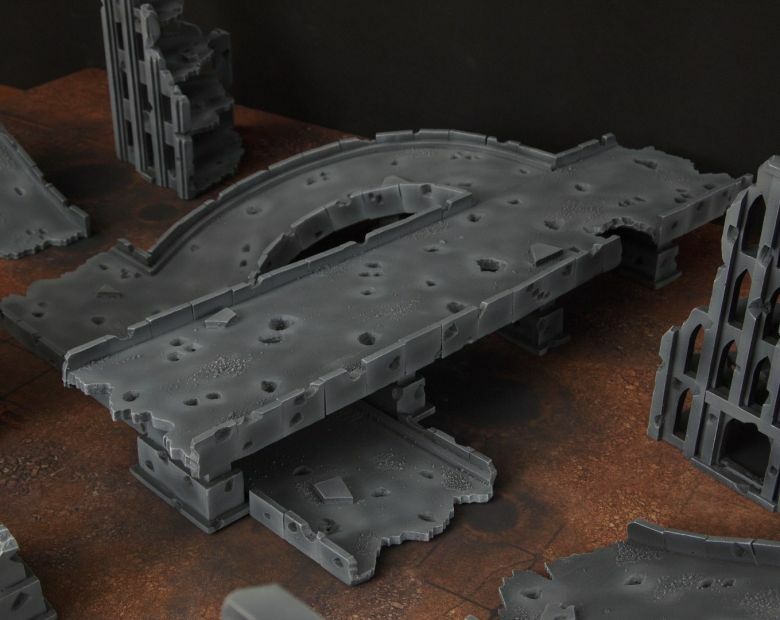 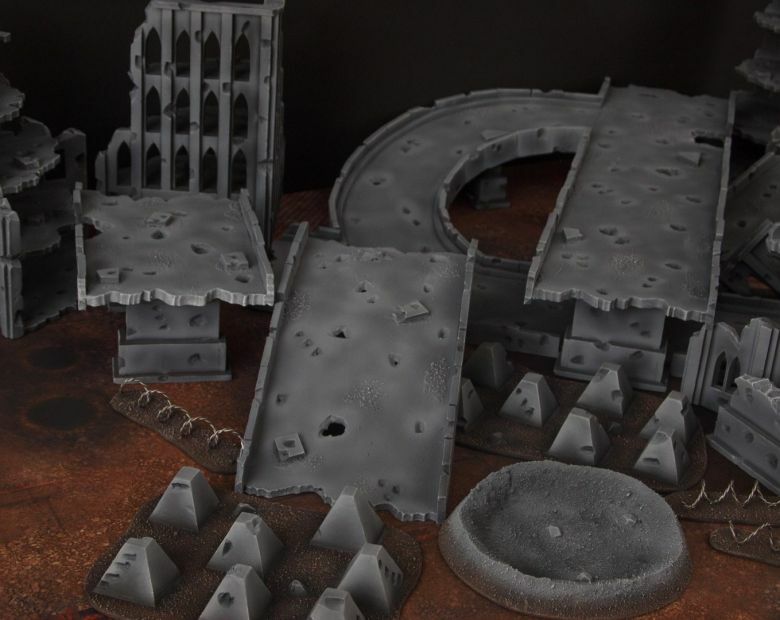 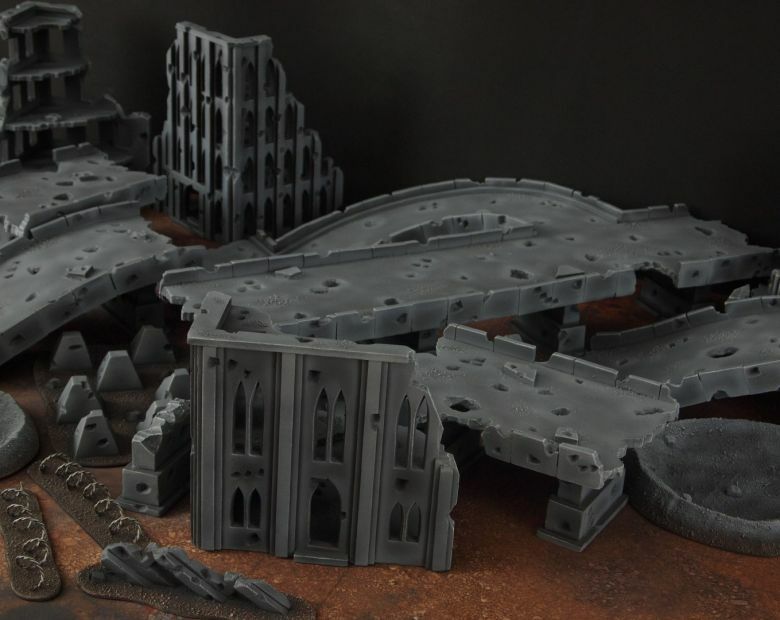 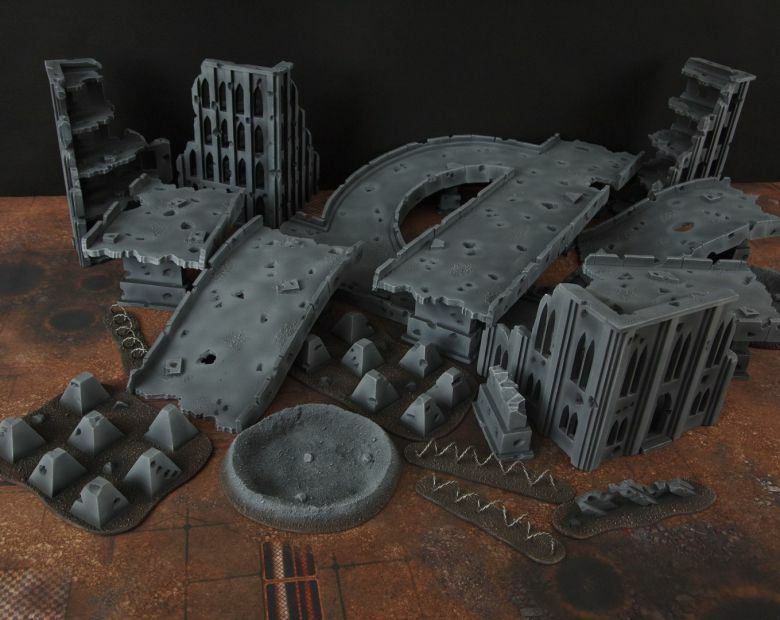 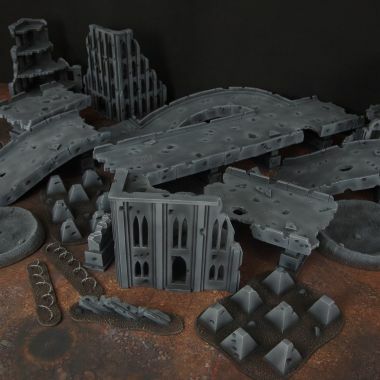 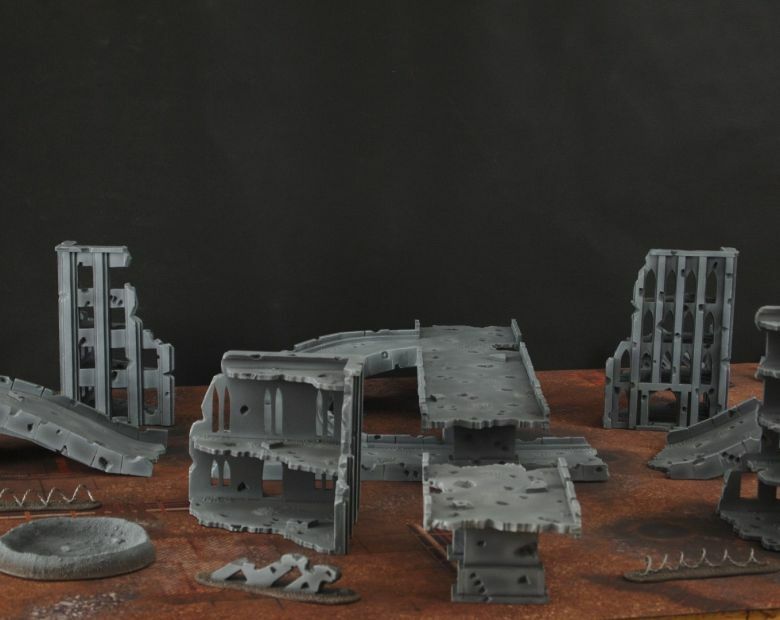 Motorway cityfight terrain set, full of ruins ,craters, rubble piles.. and huge high intersection and ruined freeway sections. 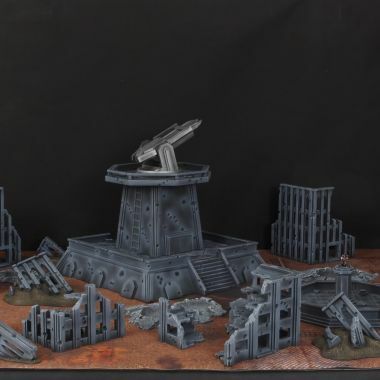 additionally we can add fountain with some kind of stature. 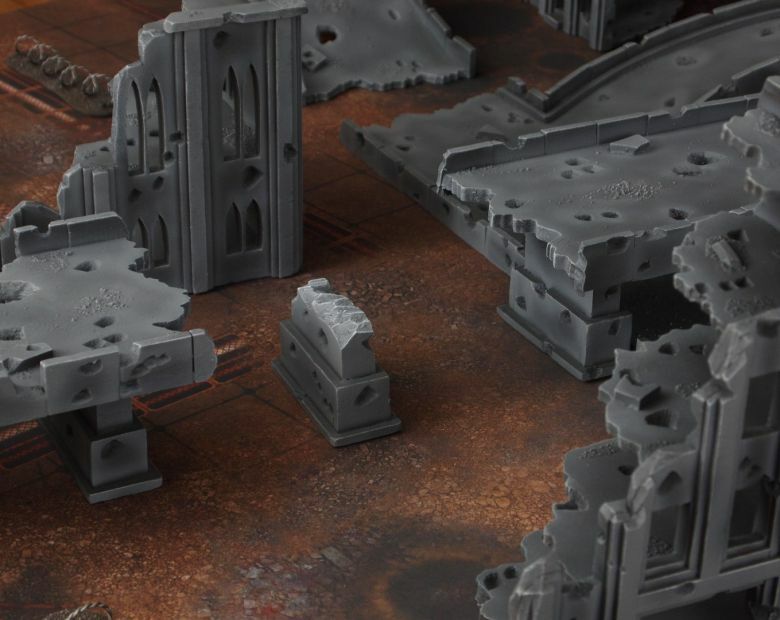 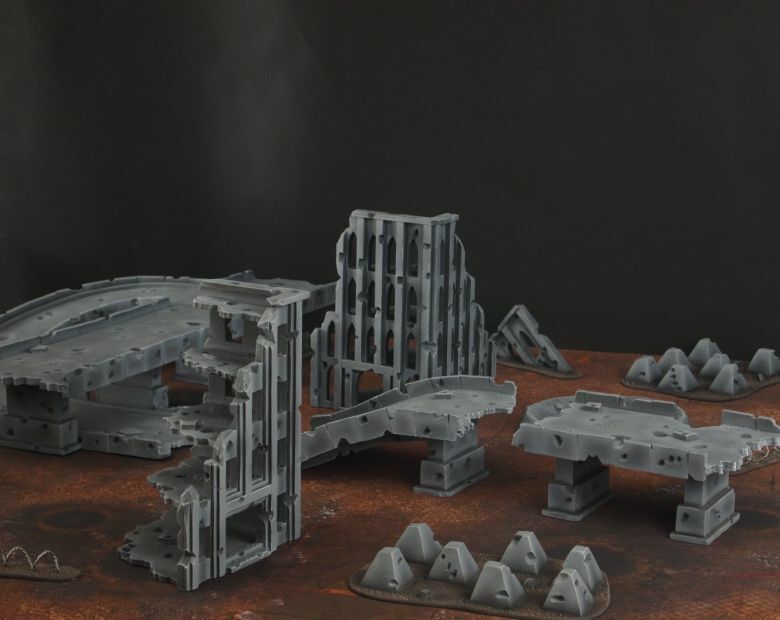 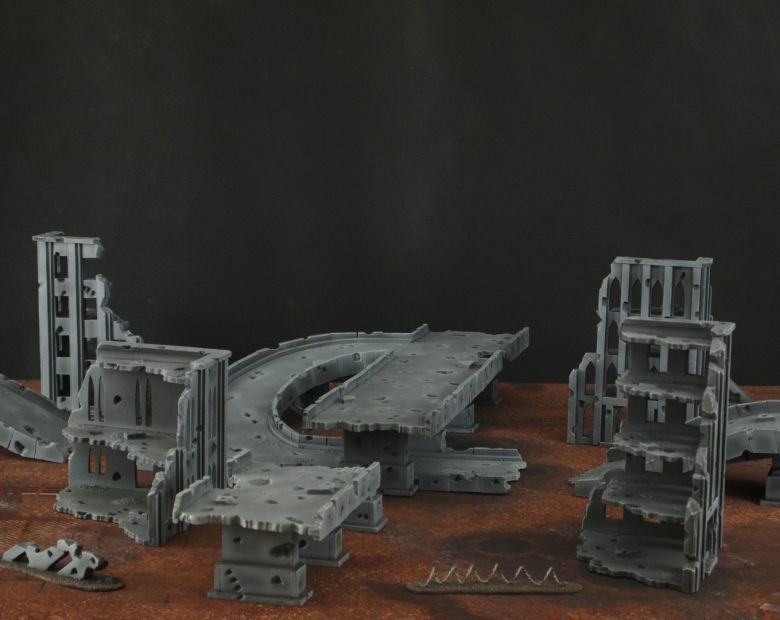 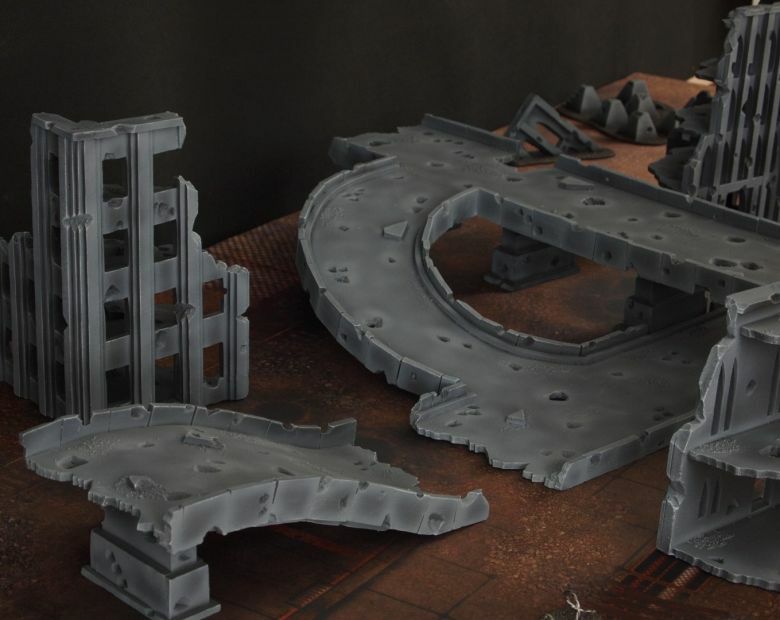 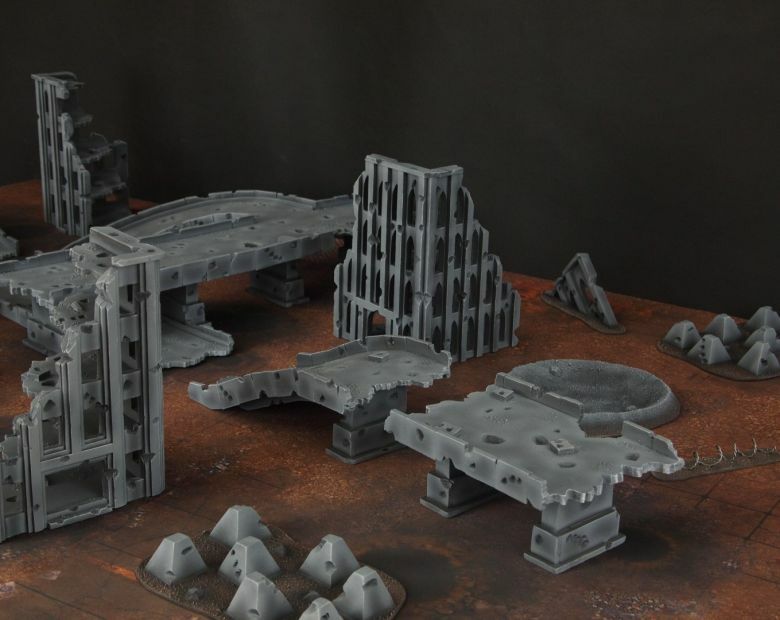 terrain pieces provides full range of bonuses for your units- from high firing position to cover, los blocking nad difficult terrain.